Aalto University is a multidisciplinary community of bold thinkers, where science and art meet technology and business. We are committed to identifying and solving grand societal challenges and building an innovative future. Aalto University is the leading university in Finland. With six schools, around 12,000 full-time degree students and 4,000 staff members, it is one of Finland's largest universities. The university holds the Triple Crown of accreditations – AACSB, AMBA and EQUIS – an accolade shared by only 0.5% of universities worldwide. Aalto University is strongly future-oriented, while building on the combined 300-year history of three highly-regarded universities. The university was created in 2010 through the merger of Helsinki University of Technology (established 1849), Helsinki School of Economics (established 1904), and the University of Art and Design Helsinki (established 1871). Aalto University is an internationally unique combination of fields where science and art meet business and technology. The university strengthens Finland's competence base and creates conditions for innovations, economic growth, employment and wellbeing, now and in the future. 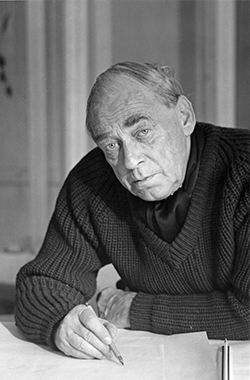 The university is named in honor of Alvar Aalto, the prominent Finnish architect, designer and entrepreneur. Aalto’s achievements in technology, economics and art exemplify the spirit of integrated knowledge which is the foundation of Aalto University. Alvar Aalto is a renowned alumnus of the former Helsinki University of Technology, and was instrumental in designing a large part of the university's main campus in Otaniemi. The core of the Aalto University Otaniemi campus in Finland is a park campus more than 50 years old, which urban plan was the work of Alvar Aalto, and which contains individual buildings designed by him and other Finnish architects. Alvar Aalto (1898-1976) was one of the world’s greatest masters of modern architecture and design. He studied architecture at the former Helsinki University of Technology from 1916 to 1921. Aalto was one of the first and most influential architects of the Nordic modern movement. His architecture is marked by a warm humanity and strong individuality. His buildings derive their special aesthetic character from their dynamic relationship with their natural surroundings, their human scale, superbly executed details, unique treatment of materials and ingenious use of lighting. His work forms a part of a common cultural heritage of European and worldwide significance. Among his most famous buildings are the Finlandia Hall in Finland, Viipuri Library in Russia, KUNSTEN Museum of Modern Art in Aalborg, Denmark, Essen Opera House in Germany, and the Baker House at the Massachusetts Institute of Technology in USA. While Aalto is mainly famous for his architecture, his furniture designs were also highly regarded and are still popular today. He was the first furniture designer to use the cantilever principle in chair design with wood. The experimentation in bent plywood chairs, most notably the so-called Paimio chair, was particularly significant. Aalto's awards included the Prince Eugen Medal in 1954, the Royal Gold Medal for Architecture from the Royal Institute of British Architects in 1957 and the American Institute of Architects Gold Medal in 1963. He was elected a Foreign Honorary Member of the American Academy of Arts and Sciences in 1957. He was a member of the Academy of Finland, and was its president from 1963 to 1968. From 1925 to 1956 he was a member of the Congrès International d'Architecture Moderne.